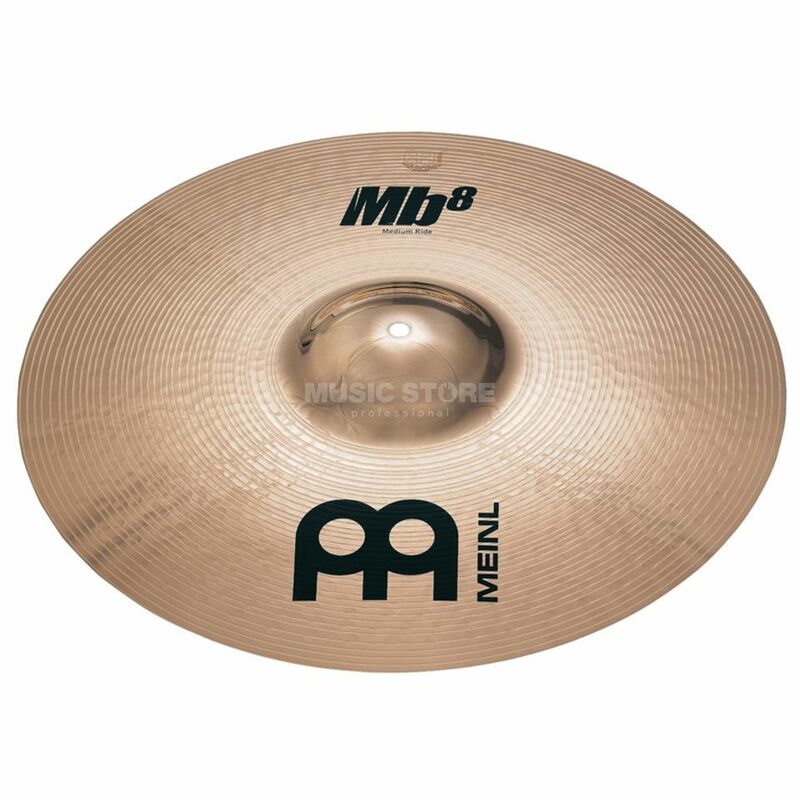 The Meinl MB8 Medium 22" Ride Cymbal is a 22” B8 bronze alloy ride cymbal, hammered into shape using sophisticated automated technology to ensure consistency and quality across the entire range. These cymbals are also finalised by a two-step high polish process. The MB8 Medium 22" Ride Cymbal is high pitched with a wide blade lathe and comes in a brilliant finish. This cymbal is truly versatile as it is ideal for a range of styles such as pop, rock, studio and even metal. MB8 cymbals have been described as clear, brilliant and powerful sounding.